Scalable - We Simplify Communications! 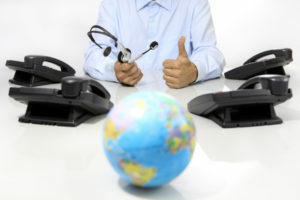 Small and mid-size businesses can connect to the same cloud services that large enterprises use, for single phone lines on up, business capital can be used for personnel and connectivity rather than hardware. All phones come pre-configured and ready to use with your Internet connection. Our plug and play technology allows you to switch desks or take your calls with you. Changing your account is quick and easy through a user-friendly web portal. Our knowledge base is available to support you through setup of any of our products.